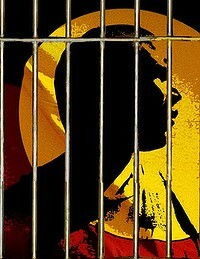 New research into the hearing of Indigenous prisoners has found that a shocking 94% have significant hearing problems. This is compounded by language difficulties that mean that many are not able to hear, nor understand, criminal justice proceedings. This, in a country where a QUARTER of the prison population are Indigenous Australians, (from a prevalence of approx. 2.5% of the general population). Many Aboriginal and Torres Strait Islanders suffer many injustices, being arrested and imprisoned wrongly is a significant one. Read a summary here…. This entry was posted in Australia/New Zealand. Bookmark the permalink.